Next Tuesday is Election Day. Please go to the polls and vote for the candidates most likely to protect our planet from the devastating effects of climate change! The events of the past year have made it clear that we are in the early stages of dramatic and potentially irreversible impacts on our lives due to warming climate. The climate change skeptics who asserted that the models predicting a warming future were incorrect were right—the models apparently were flawed. But instead of being too pessimistic, ample evidence underscores that the models did not indicate just how bad things will be, within the lifetimes of our children, if we don’t act now. I am not an alarmist who typically runs around like my hair is on fire. But we are not talking only about melting ice in the Arctic and Antarctic, bad as those developments may be. October’s Hurricane Michael was the third-strongest hurricane ever to make landfall in the United States. Hurricanes Irma and Maria devastated Puerto Rico and other Caribbean islands, and Harvey damaged huge sections of Texas in 2017. Those are three of the five costliest U.S. hurricanes on record, causing $265 billion in damage. We are going to continue to see stronger and more costly hurricanes as the climate warms. And the price tag for this year’s fire season in the western United States was second only to 2017, which was the costliest. The evidence of climate change is also found in daily temperatures. The DC area had a record number of days above 80 degrees this year. The average nightly temperature in the United States this summer was the hottest on record. All-time heat records were set all over the world. The Intergovernmental Panel on Climate Change’s report, issued in mid-October, concluded that we have only 12 more years to stave off “catastrophic” climate change. If we don’t start taking action now, hundreds of millions of people will be displaced by rising sea levels, drought, crop failures, wildfires, and life-threatening daily temperatures. It doesn’t matter whether you are a registered Republican, Democrat, or Independent. Find the candidates likely to take concrete action on climate change and vote for them. No other issue is more important. And urge your friends to take the same action! Our future depends on it. Rain fell the day of the Big Sit, but that didn't keep more than 30 people from showing up for the event at Meadowood Special Recreation Management Area near Lorton. 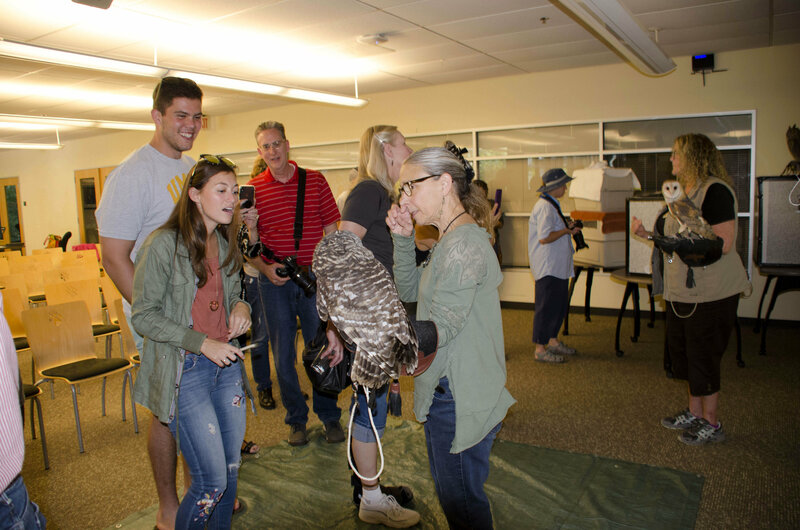 This year’s Big Sit was helped with a turnout of topnotch birders, including ASNV board president Tom Blackburn and board members Andrea Auerbach and Greg Butcher. ASNV members Ray Smith, Larry Cartwright, Larry Mead, Gary Myers, Ana Argüelles, and Jeff Wneck were joined by Bureau of Land Management (BLM) and ASNV staff. 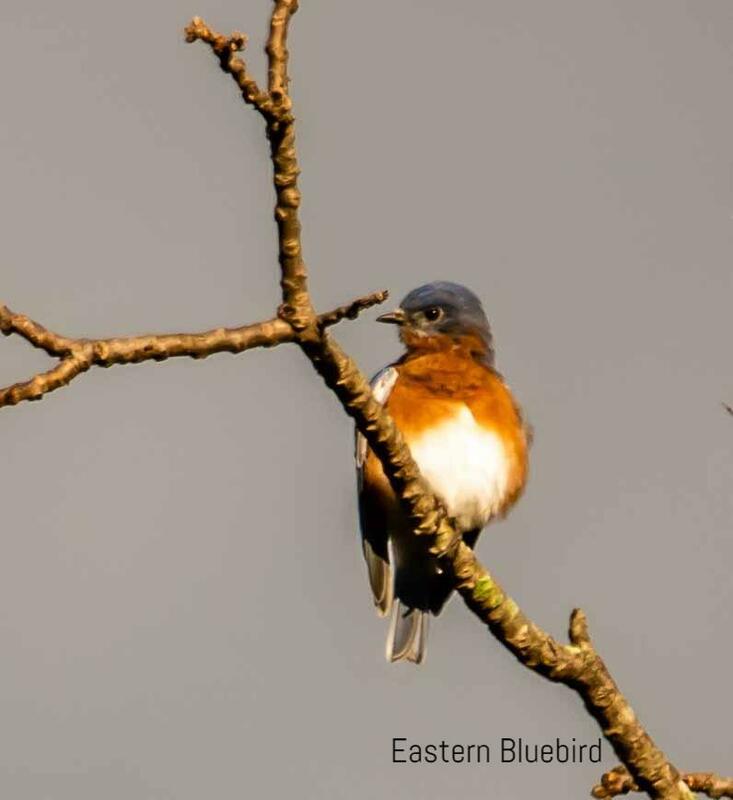 Throughout the day, which ran from 8 a.m. to 3 p.m., participants counted 476 birds of 46 species, up from 36 species last year, as well as five species of butterfly, including 15 individual Monarchs. 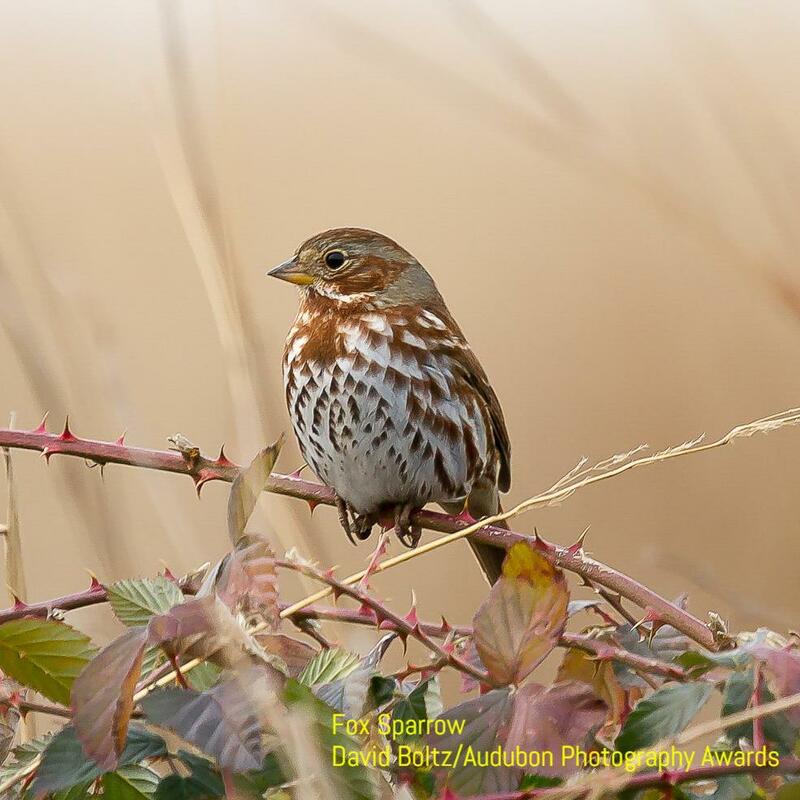 The Big Sit, begun by the New Haven, Connecticut, Bird Club, is an annual birding competition sponsored by Swarovski Optics and Bird Watcher’s Digest across the nation. The Meadowood event was the second birder tailgate party hosted by ASNV with BLM. Meadowood offers 13.4 miles of hiking trails, 7 miles of horseback riding trails, two fishing ponds, and 800 acres of forest and meadows. We hope you will join the fun next year. Watch for information in the ASNV newsletter and on the website. Sometimes the birdwatchers were watched. 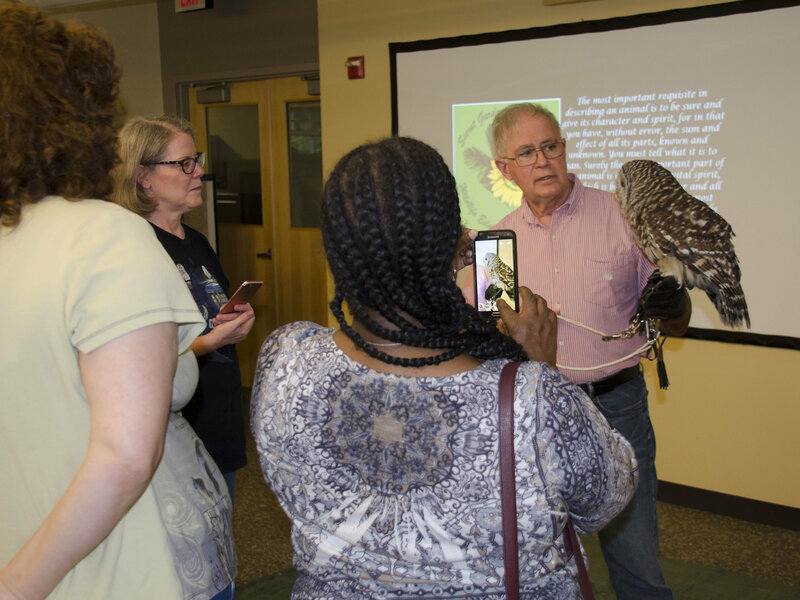 More than seventy owl enthusiasts assembled at the National Wildlife Federation building in Reston on September’s last Sunday to take a close look at owls. The ASNV Audubon Afternoon program “A Year in the Life of an Owl” allowed participants to see and photograph four owl species up close—Great Horned, Barred, Barn, and Eastern Screech, all trained to perch on the gloved hands of staff instructors from Secret Garden Birds and Bees, a group that helps rehabilitate injured owls and other birds. like eagles, owls suffer from lead poisoning, ingesting shotgun pellets in animals hunters have lost; all eagles turned into the Secret Garden are suffering from lead poisoning. Audubon Afternoon volunteers served refreshments, ranging from cookies and cake to wine and cheese. 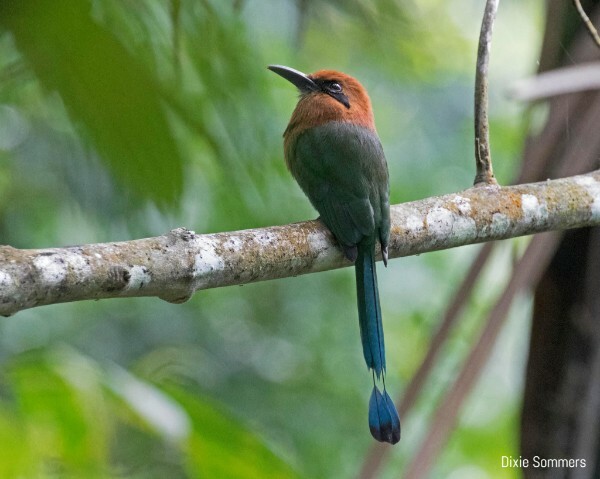 The next Audubon Afternoon, scheduled for January, will feature the birds of Panama. Keep an eye on the website and monthly newsletter for further information. This event is an opportunity to learn about the conservation challenges facing Northern Virginia and to talk to elected and other officials. to conserve trees, water quality, the Potomac River’s health, and more. Several workshops and an exhibit hall will provide opportunities to learn how people can become better stewards of their natural resources. Free and open to the public. For more information and to register, visit https://www.fairfaxcounty.gov/mountvernon/environment-expo-saving-earth-one-person-time. Have you been wondering about all those “little brown jobs” in your backyard? 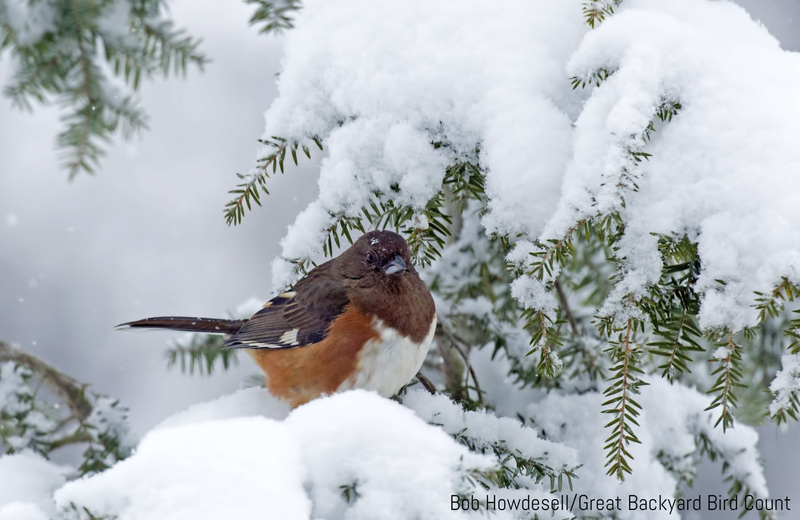 Could you use a little help distinguishing between the House Finches and the Pine Siskins? Song Sparrows and Savannah Sparrows? This workshop will concentrate on identification skills for some of the finches, sparrows, and other similar birds in our region, including both residents and migrants, just in time for the arrival of our cold weather birds. Limit: 25 participants. Click here to register. Classroom: Thursday, November 8, 7 p.m. to 9 p.m. Fairfax High School, 3501 Rebel Run, Fairfax, VA 22030. Room TBA. Field Trip: Saturday, November 10, 8 a.m. to 11 a.m. Location TBA. 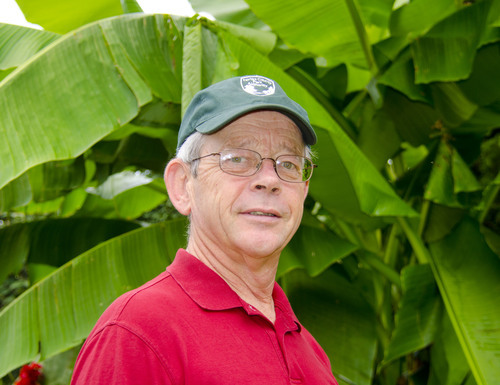 Instructor: Larry Meade is president of the Northern Virginia Bird Club and a former board member of the Virginia Society of Ornithology. 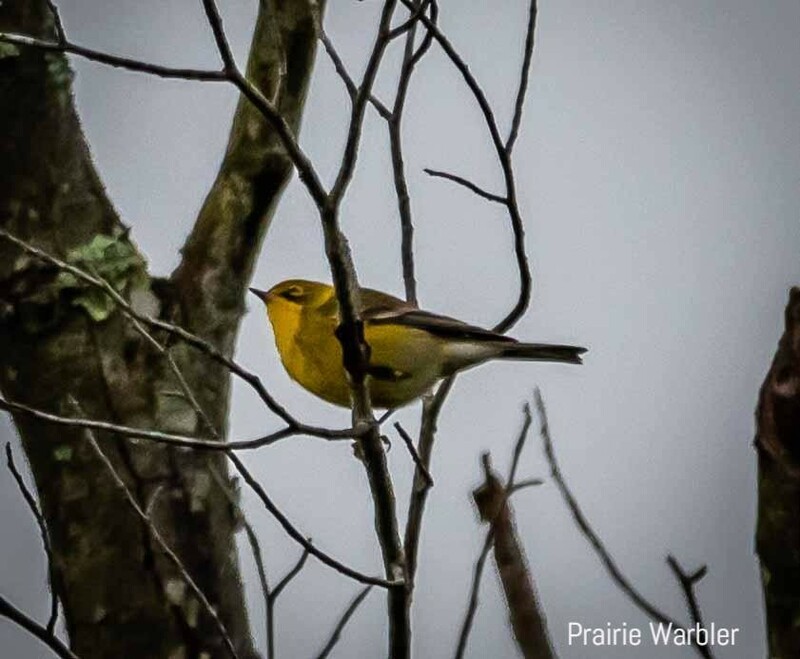 He has served as a sector leader for a number of years for several local Christmas Bird Counts and is an avid nature photographer (http://uberlarry.smugmug.com/). Writing: Would you like to provide content for the website and newsletter that can help shape and spread the ASNV message on behalf of birds? Estimated time commitment: two hours per week from March through May and from August through November. Do you have database and/or application configuration experience? The Audubon at Home program uses salesforce.com, online forms, and google sheets to track its work with clients and volunteers and needs helping hands to keep up with application configuration, data integration, and reporting. Curious and want to know how you can help? Contact aah@audubonva.org to discuss the particulars. New to the count or just want to brush up on your survey skills? Join us for our free CBC Workshop. You will learn the history, how, and why of this citizen science endeavor. The workshop will be Sunday, December 2 at 2 p.m. at the National Wildlife Federation Building, 11100 Wildlife Center Drive, Reston. To register, click here. 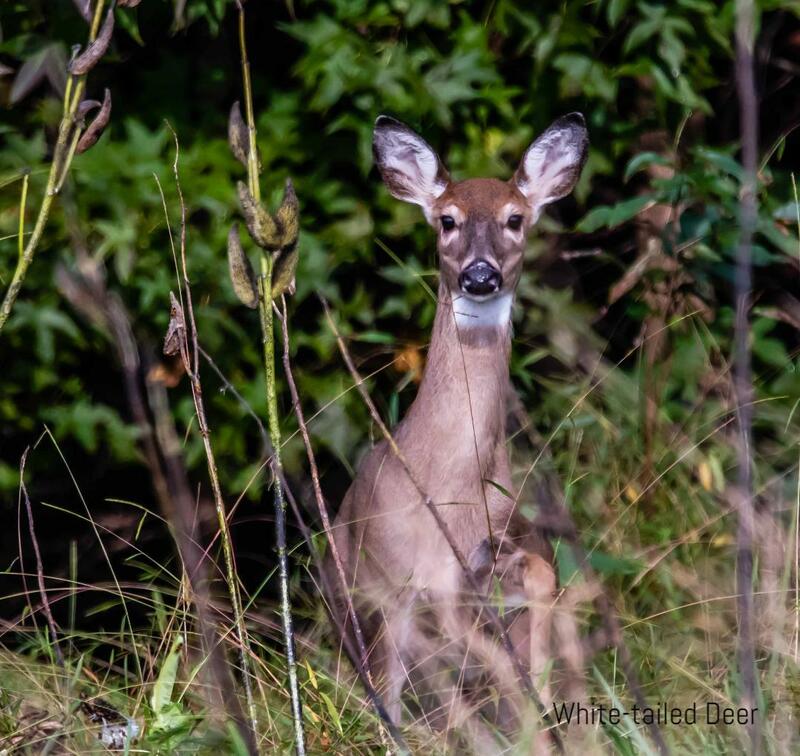 With ASNV funding support, the Friends of Dyke Marsh have completed the purchase and planting of native flora in a 0.65-acre area along the Haul Road, the main trail through the Dyke Marsh Wildlife Preserve, which lies along the Potomac River a mile south of Alexandria, Virginia. 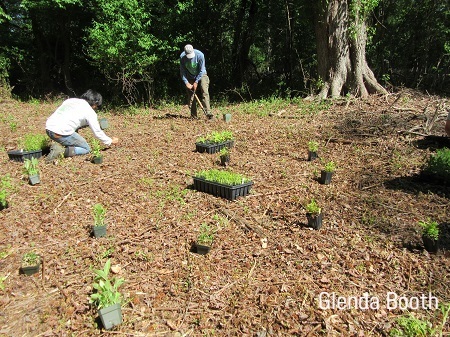 National Park Service staff had previously cleared the area of invasive exotic plants, allowing a restoration that increases diverse habitat for wildlife and provides a showcase to teach visitors about the beauty and value of native plants. The Friends of Dyke Marsh received funds from the National Audubon Society’s Collaborative Grant Program. The grant was obtained by ASNV and used to support the plant-restoration project, a collaborative effort by the Friends group and ASNV with the National Park Service and Earth Sangha. The $1,903 grant helped pay for the purchase of native plants such as River Birch, Sassafras, Early Goldenrod, and Virginia Wild Rye Grass. The grant covered about 25 percent of the $7,700 needed to purchase the plants. The rest of the funding came from other grants, Friends member donations, and plant donations and discounts from Earth Sangha. 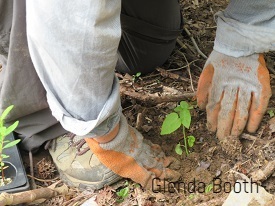 To plant the flora, the Friends group and the National Park Service organized, supervised, and participated in three 3-hour planting sessions, staffed by volunteers, in May, June, and October. Altogether, about 45 volunteers and Park Service staffers helped plant about 3,500 native trees, grasses, and herbaceous plants. Most of the plants are doing well. In addition to the new plantings, Park Service staff and Friends volunteers report that some native plants, such as the Yellow Passionflower, that had been suppressed by invasives are now returning on their own. The partners will reevaluate the project’s success next spring. First listed in 1970, the Red-cockaded Woodpecker has declined throughout its range, mostly in the Southeast, because of destruction of the pine forests in which it nests. 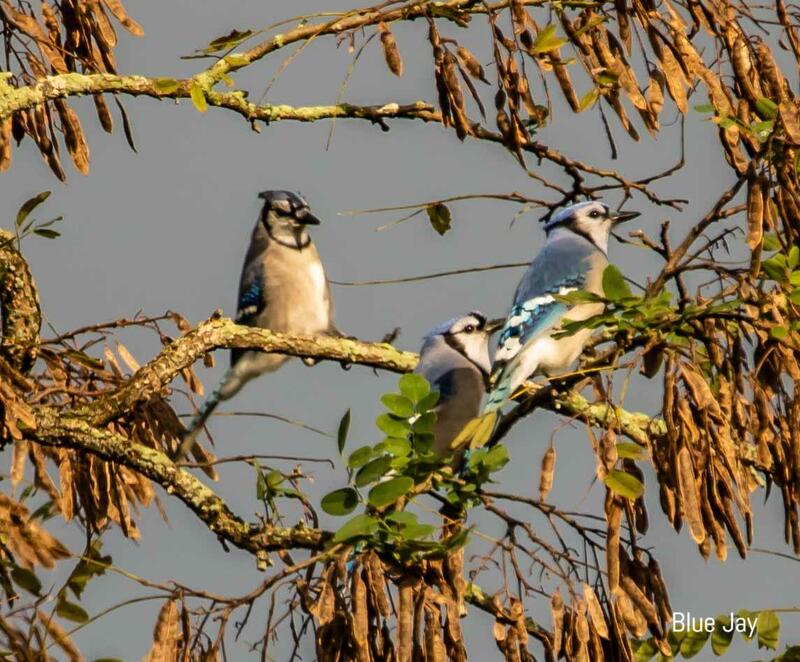 The bird prefers 60- to 80-year-old trees, which are susceptible to red heart fungus, an organism that decays a tree's heartwood, making excavation of nests easier for the woodpeckers. The widespread logging of pine forests in the Southeast reduced the Red-cockaded Woodpecker from more than a million family groups prior to European contact to only 10,000 individual birds by 1970. Today, an estimated 7,800 active clusters of Red-cockaded Woodpeckers survive across the bird’s range, which is greatly diminished. 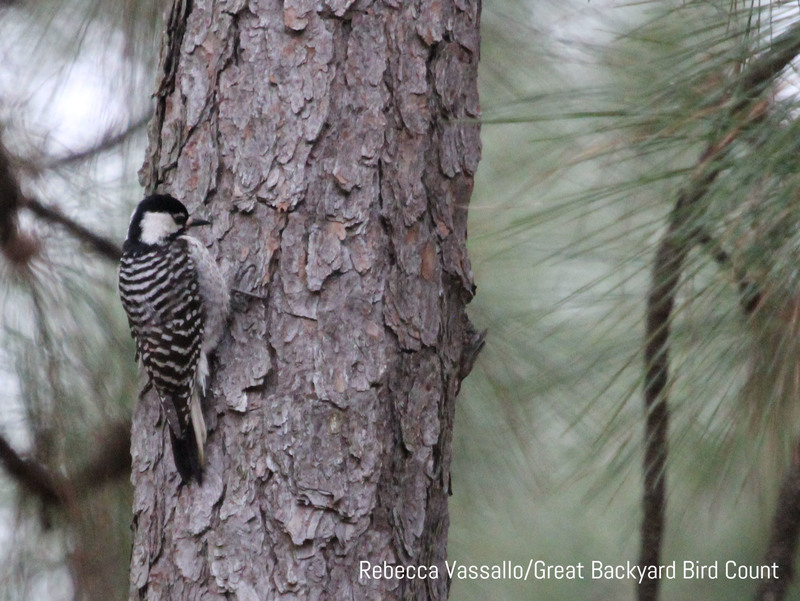 Long-leaf pine forests, where the woodpeckers find their favored nest trees, are among the world’s most endangered ecosystems. The species once nested from New Jersey, Maryland, and Virginia down to Florida, west to Texas, and north into Oklahoma, Missouri, Tennessee, and Kentucky. The bird is virtually extirpated north of North Carolina and in all interior states except Arkansas. Remaining populations are fragmented and generally small. The Endangered Species Act requires the U.S. Fish and Wildlife Service (FWS), the federal agency responsible for protecting non-marine species, to conduct reviews every five years of the status of each listed species to determine whether a species remains endangered or threatened under the act. FWS should have completed a five-year review on the woodpecker by 201l, making the current review seven years overdue. ASNV signed on to comments submitted to FWS by the Southern Environmental Law Center. The comments contend that FWS data support continued endangered status for the Red-cockaded Woodpecker. To see the full text of the comments, go here. The Virginia Legislature–What Will They Do? Plan now to attend the Virginia Conservation Network’s (VCN) preview of the 2019 Virginia General Assembly, December 1, 8:30 a.m. to 12:30 p.m. VCN will distribute the 2019 Environmental Briefing Book at the event and will host presentations on what environmental bills to expect and on strategies for making conservation a priority among state elected officials. The event will take place in Richmond, but satellite meetings will be held at other six sites, including Reston and Warrenton. The cost is $15. Visit https://www.eventbrite.com/e/general-assembly-preview-tickets-51549284297 to sign up. What Is the State of Fairfax County’s Environment? The Fairfax County Environmental Quality Council will present its annual report on the state of the county’s environment to the Board of Supervisors on November 20 and hold a public hearing on January 9. Speakers can discuss what’s in the report, what’s missing, or other environmental issues. This annual report typically examines topics such as ecological resources, parks, air and water quality, wildlife management, and land use. The January 9 public hearing is set for 7:30 p.m. in conference rooms 4 and 5 in the Fairfax County Government Center, 12000 Government Center Parkway, Fairfax. The panel will accept written, oral, and video testimony. You can sign up to speak at EQAC@fairfaxcounty.gov or by calling 703-324-1380. Staff is recommending several steps, including inventories of current sites using this approach, identifying possible retrofit projects, preparing cost estimates, and prioritizing projects. The Board of Supervisors will consider a comprehensive plan amendment to the policy plan. If approved by the Planning Commission and the full Board, this plan would provide overall guidance to county agencies and encourage more natural landscaping approaches. Auduboners may wish to advocate for this Audubon-at-Home approach with their planning commissioners and supervisor. Alexandria dubs itself an “eco-city” and has several initiatives under way. The city council adopted an update to the Environmental Action Plan on October 13. To learn more, visit https://www.alexandriava.gov/EnvironmentalPolicyCommission. Visit https://www.alexandriava.gov/Energy to learn about the city’s initiatives on climate change and energy, including Solarize Alexandria, an effort to help residents and businesses install solar power systems on homes and buildings. The city’s Environmental Policy Commission will meet in December. The Commission’s website is https://www.alexandriava.gov/boards/info/default.aspx?id=36568. The Arlington Tree Action group, arlingtontreeactiongroup.org, is working to stop tree destruction and to preserve trees in Arlington. They say county-staff statistics reveal that “the equivalent of the Pentagon’s footprint (~29 acres) is lost in Arlington to impervious surface every 3-4 years." The Tree Action Group urges people to take advantage of the Arlington County Board’s open door Mondays, held every Monday every month except August and December (unless there’s a Monday holiday). These meetings offer opportunities to express your views and suggestions with elected officials. You can find more information here: https://newsroom.arlingtonva.us/release/drop-in-on-an-arlington-county-board-member/. ASNV is participating in a Fairfax County drone task force, called the Public Safety Unmanned Aircraft Systems (UAS) Task Force, led by the Office of Emergency Management, which is reviewing practices for use of these systems and focusing on how to “effectively and safely implement a UAS program” in the county. The county has listed several more ways they could use drones, for example in emergency response, post-disaster assessment, traffic management, fire management, crime scene mapping, and wildlife population estimates. ASNV has urged the county Park Authority not to expand sites for recreational drone flying in county parks because of the potential of recreational drones to disturb birds and other wildlife. If you have suggestions or comments, please email Joanne Bauer at https://audubonva.squarespace.com/contact-joanne. Saturday, November 10 - 8 a.m. to 11 a.m.
Sunday, November 18 - 7:30 a.m. to 10:30 a.m. So the leaves are down: all the better to see the woodpeckers and brown creepers. Co-sponsored by The Reston Association, The Bird Feeder of Reston and ASNV. Getting there: From I-66 west, take exit 60 to go north on Route 123. Turn left on Hunters Mill Road/ Route 674. Turn left on Lawyers Road, Route 673. Turn right on Twin Branches Road. Park near intersection with Glade Drive and meet leaders at the corner. Sunday, December 2 - 8 a.m. to 11 a.m. Check out the quarry and lakeshore for winter arrivals with leader Toby Hardwick. Sponsored by ASNV. Wednesday, December 12 - 8:30 to 11:30 a.m.
Getting there: From I-495, take I-95 south about 13 miles to exit 163 (Lorton Rd.). Continue 1.4 west on Route 642 (Lorton Rd.). Turn left on Route 611 (Furnace Rd.) and then immediately right onto Dairy Rd. Proceed to the parking lot where we’ll meet.